This TH embossing folder features lots and lots of Christmas-y words. I was so excited to discover it on sale last summer, and I am thankful to have rediscovered it in time for Christmas cards! This month's Verve sketch is going in the keeper file for sure. I love all the fun details, but left a few off after using multiple colors, prints, and a busy embossing folder. Can't wait to try again to see if another selection of DP will allow for some scallops and a few more dies! 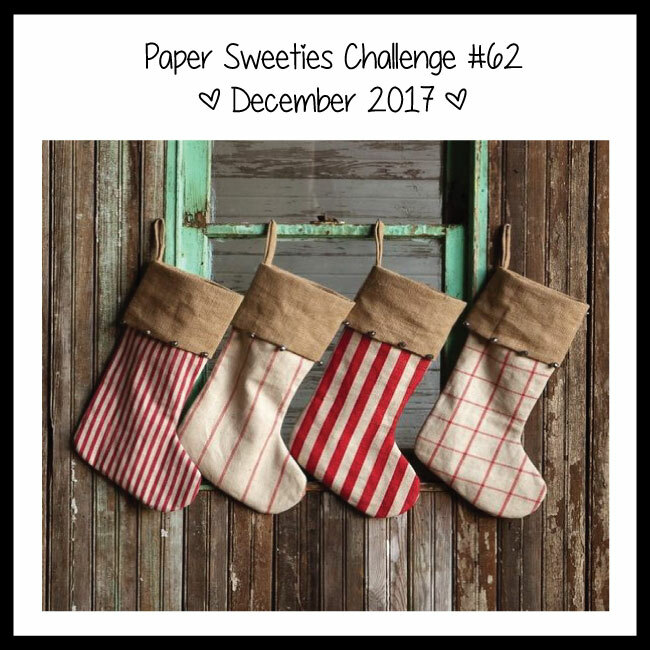 I love combining sketches with inspiration photos, and the Paper Sweeties pic led me right to the stockings from Jolly Jingles. What a fun mix - lots of texture and pattern to move the eye around, Christine - thanks for sharing this with us at the Simon Says Stamp Wednesday challenge! This is so darling. Love your little plaid stockings! So glad you could join us for Viva la Verve, Christine!